WisconsinFamilyLaw.info is a forum of up-to-date legal information related to all aspects of divorce and family law in Wisconsin. Our blog has become one of the most extensive sources for answers regarding family law issues and topics in Wisconsin. Our goal is to provide meaningful, real time solutions and information to individuals in need of legal information and fresh perspective. We understand that legal information and knowledge about your family law rights is critical when needing to make important decisions. The award winning family law firm of Nelson, Krueger & Millenbach, LLC invites you to explore our Wisconsin Family Law Blog and research various topics on divorce, child custody and placement, child support, maintenance (alimony), etc. to better your knowledge about your legal rights in Wisconsin. If you wish to schedule a free initial consultation with one of our experienced family law attorneys, please contact us at (414)258-1644 or visit our website. At Nelson, Krueger & Millenbach, LLC, we are committed to supporting our clients throughout any difficult family law matter. We spend the time needed to gain an understanding of our clients’ goals, values and concerns. Although many family law matters can be contentious, we believe that the best result is often achieved by finding creative solutions to difficult issues. Our lawyers are committed to solving client problems and allowing them to move on with their lives. In the event the parties are unable to reach a resolution, we are committed to obtaining the best possible results for our clients in court. Our clients know that while they will work with one lawyer throughout the process, they have the experience and expertise of the entire firm at their disposal. This allows us to develop the best legal strategy for each client while providing ongoing support during a difficult time. Consistency of representation is a hallmark of our service. We return telephone calls promptly and answer your questions in a timely manner. 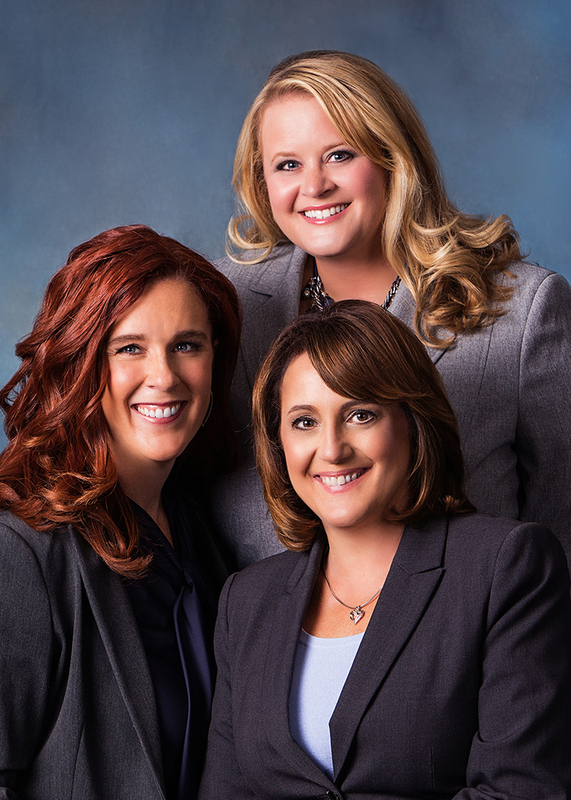 The attorneys at the Wisconsin law firm of Nelson, Krueger & Millenbach, LLC focus exclusively on family law matters. Our goal is always to provide caring, experienced and diligent representation. We are committed to superior personalized service and communication with our clients. Our family law practice includes matters such as: divorce and legal separation, child custody and placement, child support maintenance (alimony), paternity, post-judgment disputes, modifications and enforcement. We also handle restraining orders for domestic abuse or harassment. If you are interested in meeting with one of our attorneys, please contact us at (414) 258-1644 to schedule a free initial office consultation or visit our website at www.nkmfamilylaw.com. The information you obtain at this site is not, nor is it intended to be, legal advice. The information on this website specifically applies to Wisconsin law and may be very different from the laws in other states. You should consult an attorney for advice regarding your individual situation. We invite you to contact us and welcome your calls, letters and electronic mail. However, contacting us does not create an attorney-client relationship. Please do not send any confidential information to us until such time as an attorney-client relationship has been established. Can a parental grandparent have placement if the biological father (her son) is also awarded placement, regardless of the frequently of the placement? Is there some law that would address this? It feels like this would be overlapping placement and 2 parties would have placement of my children. It would seem that the biological fathers time should also be considered his families time? Is there a law to support this to a GAL or judge? I apologize. I am trying to fix that and hopefully will have it resolved soon. What can I expect at my first divorce hearing for temporary orders? Do the lawyers do all of the talking? Do I get to defend my case? How does it work? It depends on the county but generally the attorneys do the talking with the occasional direct question to the parties. It is an informal hearing, with no court reporter. You should discuss this in detail with your attorney prior to the hearing. My divorce was final in July of 2007. At that time, I was awarded 100% placement and 17% of my ex’s income for child support. I have never had the child support adjusted or reviewed. My Ex husband has since remarried. I am thinking of requesting a review of our child support agreement. My question is, will the court look at his income only or his joint income when calculating a new/updated support order? Only his income is used. His new wife has no legal obligation to support your child. The statutes do provide that child support may be reviewed/modified after the passage of 33 months from the last order. The statutes also provide, and your judgment of divorce may say this as well, that he is required to provide you income information upon request. I usually start there to see if support will change at all. You should seek a consultation with an experienced divorce attorney to determine your options and possible outcomes. If you are legally separated in Wisconsin, do you have to maintain car insurance with both parties on the policy? I want to get a policy of my own without my spouse but I’m not sure if that is allowed. I am finding that some insurance companies are requiring it. I can understand that it if both you and your spouse are on the title to the car. However, there is no “law” which requires it. And, frankly, if you are legally separated, the insurance company should not be requiring it either. If an insurance company is giving you a hard time about that, go to a different company. If the title is the issue, you should have your spouse sign off on the title to put it in your name only. You should probably do that anyway if you are legally separated. If my husband has a deposition because his ex is looking into his finances because she’s pissed for paying child support, can they look into my info as well? What are the limitations on my privacy in this matter? I would like to think that anything involving me is none of her business. We have 3 kids of our own and have his daughter 50/50. Theoretically, they are not entitled to any of your information as you have no duty to support his children. However, his “general economic circumstances” can be relevant in some situations so your contributions to the household in terms of income may be subject to discovery. This is a rare case, however, beyond tax returns. I would suggest that you/he talk to his attorney about this or if he doesn’t have one, consult with an experienced family law attorney about the entire situation. I got divorced in 2011. At the time my ex husband and I made about the same amount of money so I waived child support. Since then I have lost my job. He has doubled his income. I am remarried and my new spouse started a business after we were married. If I file for child support now will my new husband’s business income affect the child support? First, any time there is a substantial change in circumstances, child support can be modified. Second, a new spouse’s income cannot be included for purposes of determining child support. However, your “general economic circumstances can be considered which can, in a general way, pull that income into consideration. For example, if the court determines that business is really a joint venture between the two of you, you can be assigned some income from it as “marital property”. Third, the courts generally do expect everyone to work to their full capacity. So, you will be expected to find a new job to the best of your ability. The court will give you some time to do that but they will not use zero income for you in any calculations. Your best bet is to meet with an experienced divorce attorney to go through all of the facts of your case to determine what a likely outcome would be of a motion to modify child support. Good luck! Wisconsin DHS requires two witness signatures for a Health Care Power of attorney. They can not be related by blood or marriage. Is a brother in law considered related by marriage. One brother in law is widowed so technically he is no longer linked by marriage. They other brother in law is still married to the principal parties sister. Just can’t seem to find a definitive answer. I’m sorry but this is out of the realm of our expertise. However, putting my “lawyer hat” on, if the statute says related by blood or marriage, then your brother-in-law who is still married to your sister is out. I don’t have an answer on the other one. To be safe, you should just have someone else witness your signature. In regards to my son we have had a mutual agreement on his schedule so far. We were never married but now we are having conflict when it comes to schooling. I’ve decided to take her to court and hired a lawyer. We were originally going to do mediation but she decided to back out. I have been the provider for health insurance, medical bills, pay child care, schedule doctor bills, provide a stable home, Ect. Am I making the right move with proceeding with court? There is no way anyone can really tell you that, especially in answer to a blog post! You should consult with an experienced family law attorney. However, even an experienced attorney may have difficulty with that question. All an attorney can do is to review the facts and evidence and tell you what the likelihood of success in court would be. A therapist is really your best bet in terms of obtaining input into what is in the best interest of your son. I will tell you that mediation is required for custody and placement disputes and her decision to “back out” will not be looked upon positively by the court. Good luck.